Excuse me while I cry my face off. 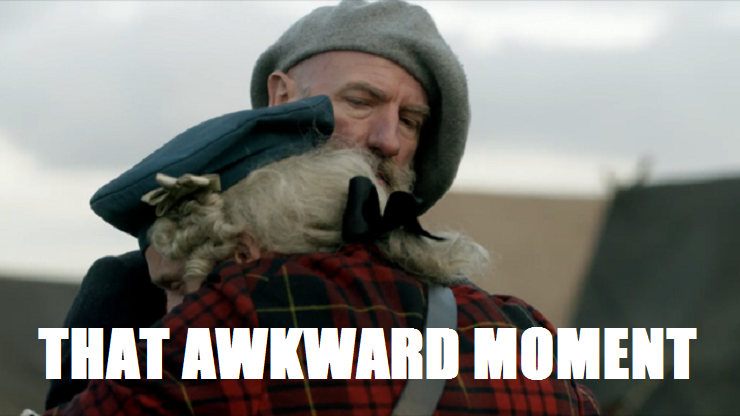 With the Jacobite rebellion in full effect and only three more episodes left in the season, we’re starting to say goodbye to some of our favorite Outlander characters and I just canna deal. 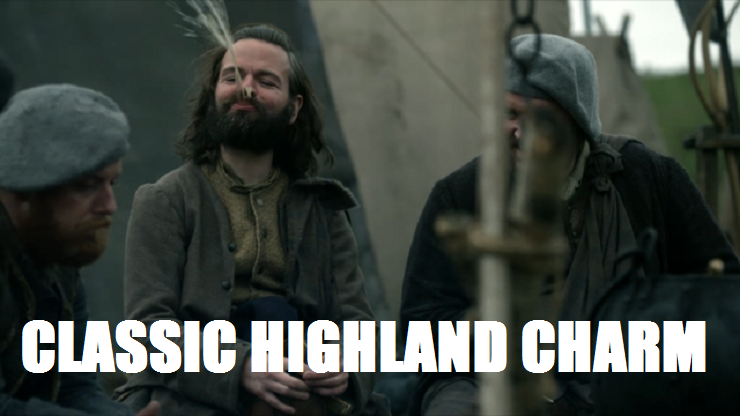 Episode 210,”Prestonpans,” brought our Frasers and Mackenzies into their first real battle of the ’45 Rising, showed us an even darker side of Dougal, and gave us something like 300,000 “mark me”s from Bonnie Prince Charlie. 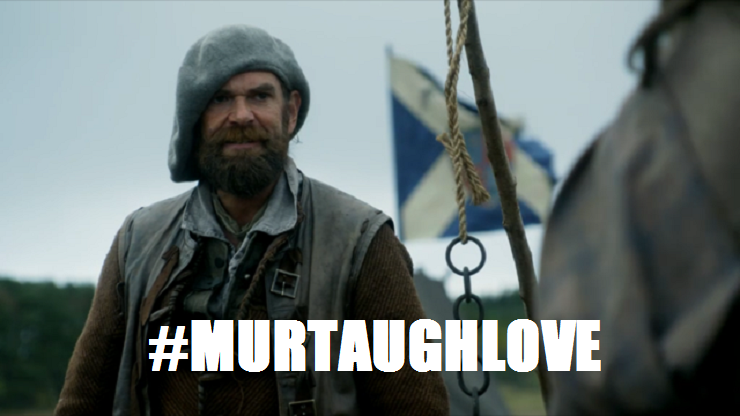 Before we get into the sadness in our Outlander Superlatives, here’s a picture of Murtaugh, because he always makes things a little better. Angusssssss! Throughout this episode, I kept thinking to myself, “I’m so glad Angus is back. This guy is the best!” Between his giddiness over talking to the prince to his offer to leave Scarlett the part-time whooore/part-time barmaid to Rupert in case anything should happen to him, this episode was full of all the types of Angusisms we’ve come to know and love over the past two years. Angus’s death brought to life the sudden, brutal realities of mortality and war—even in victory—but I still canna picture this band of highlanders without his wisecracks and willingness to pull out his dagger whenever necessary. (Or, sometimes, whenever unnecessary.) 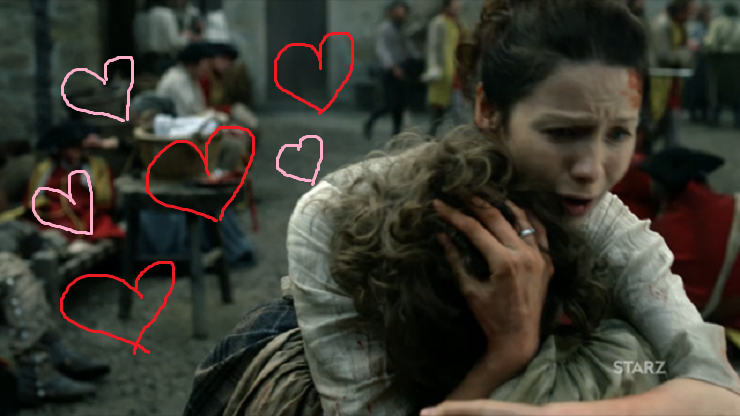 At least he got that kiss from Claire, though, ye ken? 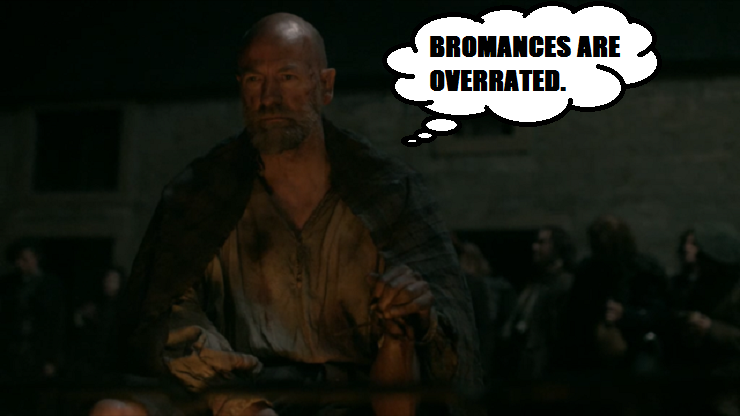 But Jamurtaugh wasn’t the only bromance featured this week. Angus and Rupert gave us all the feels, as did those other two guys whose names I still don’t know, so I’ll just call them Matt and Ben. 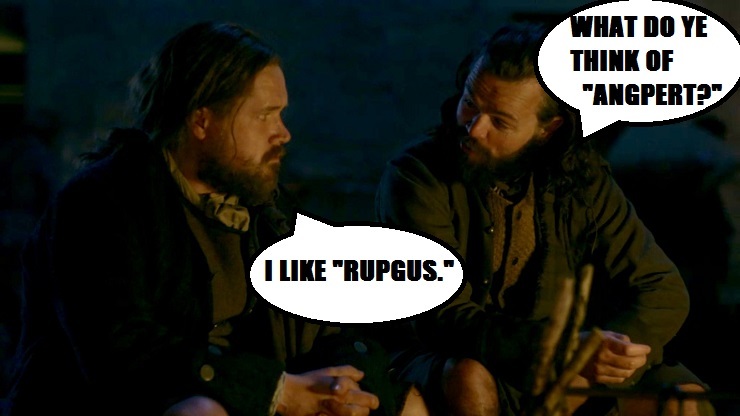 In their grief, even Rupert and Ben formed a quasi bromance, leaving Dougal as the only one without a buddy. Maybe that’s part of his problem, but something tells me Dougal isn’t much of a people person. No explanation needed. Even the back was super fancy. 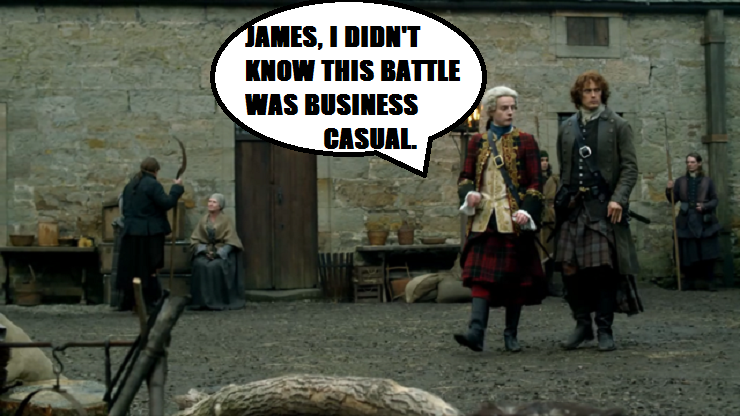 Did you also notice how he was totally trying to stand like JAMMF? 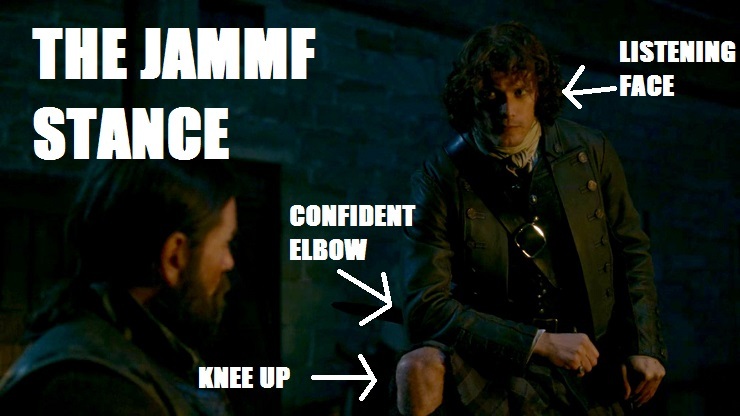 But no one can stand like JAMMF, BPC! I realize you want to have a bromance with him, but he’s taken. You know when you meet your idol and he gives you a huge hug and it’s super awkward because all you can think about is how you just pooped your pants? She’s such a good mom. I want all scenes with these two together all the time. Except maybe not always after something tragic has happened. 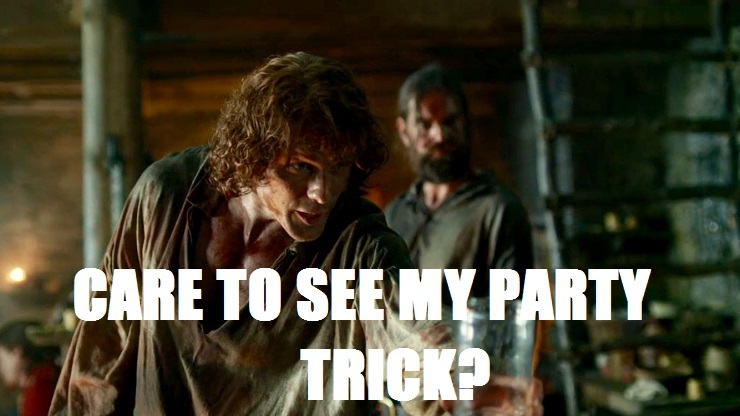 Only JAMMF can make wagering how far he can “take aim” attractive, but there are a lot of things only JAMMF can do. 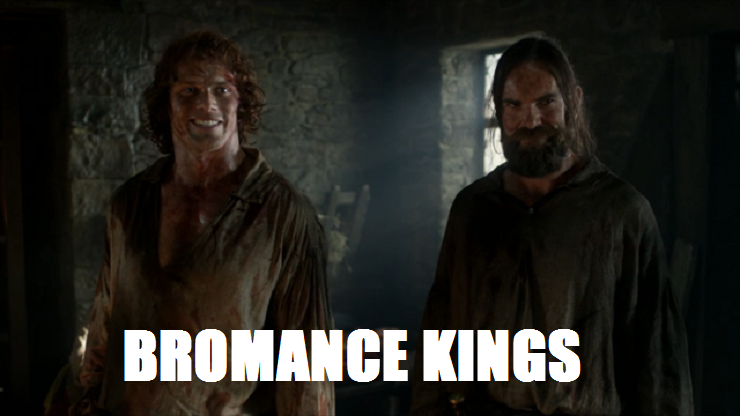 Men had died, Rupert’s life was hanging in the balance, the whole infirmary was filled with somber faces—what else could a JAMMF do to lighten the mood other than turn pee into a sport and joke with an English soldier? Too bad that wet blanket BPC had to strut in and break the magic. Mark me. 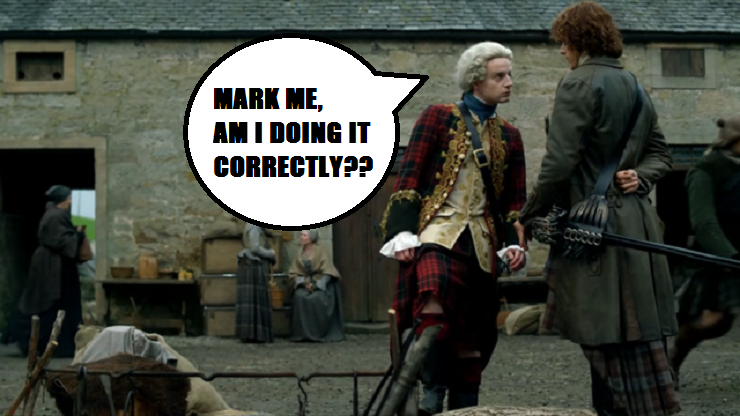 When JAMMF tells BPC what to do, whether it’s an order to stay behind the lines or a demand to stop saying “mark me” (oh, that didn’t happen? ), I get all hot and bothered. 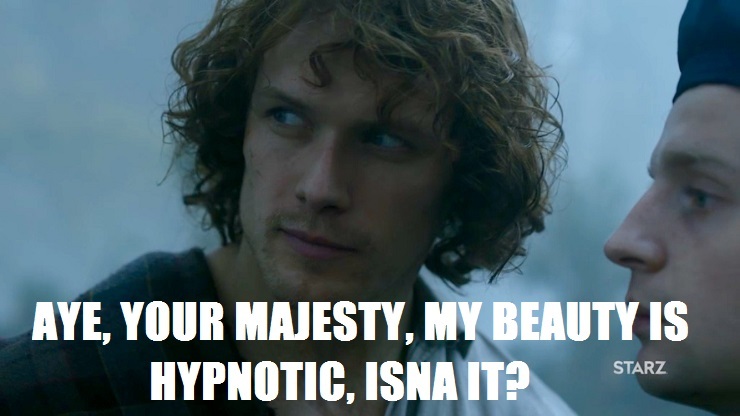 JAMMF has no qualms telling it like it is, even to royalty. Just one of the many reasons why we love him. 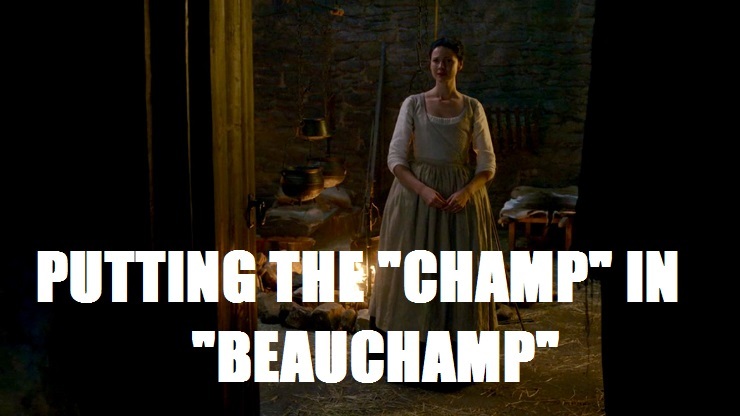 We’ve seen Claire nursing the sick and injured before—from Castle Leoch to L’Hopital des Anges—but at the infirmary in Prestonpans, we got to see Claire put her own nerves and fears in check and lead her team with kindness and authority. 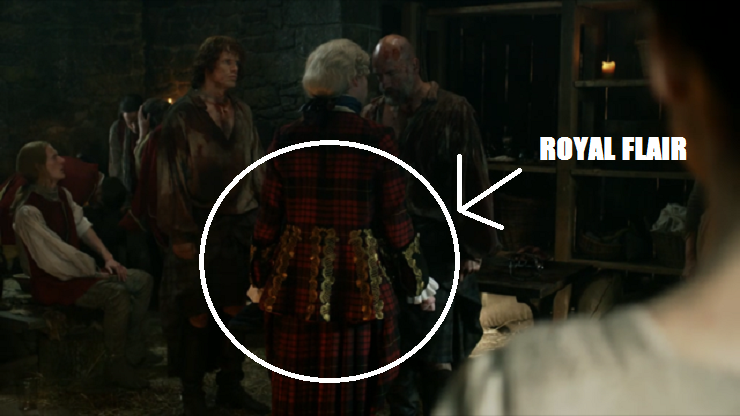 Maybe this isn’t the typical “brazen” Claire who tells people off and shakes people down (all in the name of justice! ), but it takes more guts than anything to let your man go off into battle, and then to go on with the show by stitching up the wounded. So, friends, what do you think? Are you ready for “Vengeance is Mine?” Have you stopped crying over Angus? Have you started crying over the fact that the season is nearing its end? 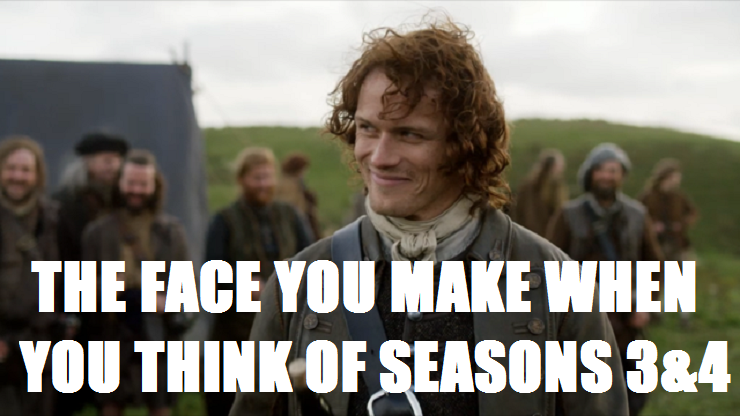 (We know that we have seasons 3 and 4 to look forward to, though!) Share your thoughts!